Ryan and his brother Adam Boyko have spent more than a decade learning everything they can about dogs. As a result of that passion for animals, they co-founded Embark to help pet owners everywhere make their own discoveries and better understand the genetic data behind each individual dog. Based in Boston, MA, Embark DNA kits provide valuable data for pup parents but also for the dedicated Embark team of vets and researchers who are using the information to make improvements to health and discover new insights. We had the chance to learn more about Embark straight from the top dogs’ mouth in this exclusive interview with Ryan Boyko, Embark’s Chief Executive Officer. 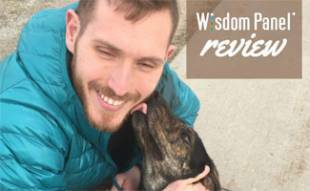 You will not only get to know Ryan better but you will also learn more about the company and see why they’re our number one pick for the best DNA test for dogs. Tell us more about why you founded Embark? 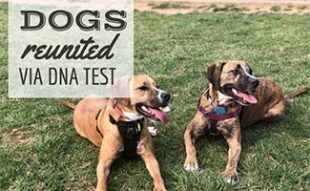 While it’s undeniably fun to know what breeds your dog is, dog DNA testing can do so much more than that. My brother and I saw hundreds of thousands of people buying dog DNA tests every year and also trying everything from vitamins to high-end dog foods to specialty shampoos and products and more trying to give their dogs healthier lives. We wanted to give pet parents the opportunity to learn their dog’s breed AND get a complete genetic health evaluation that can be used by owners and veterinarians to improve their dog’s lifetime health AND contribute data to research that will one day help end preventable disease in dogs. When we have hundreds of thousands of dogs tested on Embark’s platform, we will be able to make real contributions to ending cancer, heart disease, hip dysplasia, allergies, and more in dogs. No other dog DNA testing company can do that because they collect less than 5% as much genetic information. That vision drives everyone at the company every day. Where does the name Embark come from? When someone Embarks with their dog, they are embarking on three journeys. First, their dog’s results can be used by the pet parent, veterinarian, and trainer to improve the dog’s journey through life. We have trained veterinary geneticists (actual veterinarians) who can also help them understand any results they are interested in. Second, their dog becomes part of a community of Embarkers, meaning they can share insights about their dog with other Embarkers (through our Facebook group right now) and that they get health updates and new features for the life of their dog. Third, they are embarking with us on our vision to end preventable disease in dogs. We can’t do that without hundreds of thousands of dedicated dog lovers! Why might a pet owner consider DNA testing its dog(s)? Many people are curious about what breeds are in their shelter dog. For them, we offer the most accurate DNA testing available, based on over 200,000 genetic markers and proprietary algorithms we’ve developed over the last 12 years as scientists and then entrepreneurs. 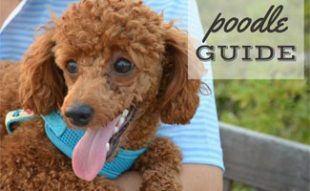 This information can also help veterinarians and trainers know what to look for in dogs from puppyhood through old age. We also have many customers who have lost a dog to genetic disease before or who just know the genetic problems that can crop up as dogs age. These customers are primarily interested in the health testing and often, in fact, own purebred dogs. Finally, we also have many conscientious breeders who use our services to improve the long-term health of their breed and to breed the healthiest puppies they can. How has Embark has experienced tremendous growth in such a short period of time? [We owe our success to] our dedication to 7-star (out of 5!) customer service and not cutting corners to deliver the best dog DNA testing results [that] science can provide. We have extremely talented staff (including several DVMs and PhDs) who make sure every result is wonderful, and make sure everyone has a wonderful experience. Even our most senior staff, myself included, call customers who need further explanation. We all read every review and spend our time making everyone have a five-star experience. At our heart, we are a science-focused company full of dog lovers. We worked in dog genetics as scientists for a decade before starting Embark, and we continue to partner with Cornell University’s wonderful College of Veterinary Medicine, keeping science at the center of all we do. Beyond that, we understand our customers, and we provide them with all the support they need. Our test uses over 20 times as much genetic information as any other test, allowing us to give the most complete and accurate test on the market. 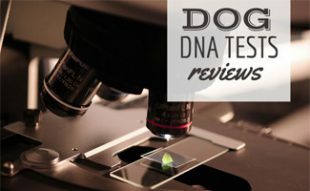 That amount of data also allows us to use the information to drive new scientific discoveries; no other dog DNA test collects enough genetic information to further research into conditions that currently have unknown causes. When you buy a competitor’s test, you may get a good story to tell your friends. When you buy our test, you get a partner in your dog’s health and contribute to ending preventable disease in dogs once and for all. Is it possible to receive different results from Embark than from a competitor? It certainly is possible. We’ve very often seen competitors getting the main breed in a mix correct but not getting the other breeds correct (and sometimes we see them missing the predominant breed, usually for a related breed). Both my brother and I have had our dogs tested with competitors, and none of them got our dogs perfectly correct. Ultimately, the explanation usually is that using less genetic information and different analytical methods make it harder for other companies to determine all the breeds in a mix correctly. What is the most interesting dog mix you have discovered via Embark testing? This is impossible to say as we’ve had so many interesting dogs! If you want my unbiased opinion, it’s definitely my dog Harley! We’ve had dogs paired with long-lost siblings, a Basenji mix (finally! ), some very odd mixes (apparently chihuahuas can breed with some big dogs! ), village dogs from all over the world, dogs we were able to help prevent disease, and dogs with some very impressive skills (hunt trial champions, AKC champions, agility champions, and more). In the end, I think everyone knows in their heart the most interesting dog mix is their dog’s. 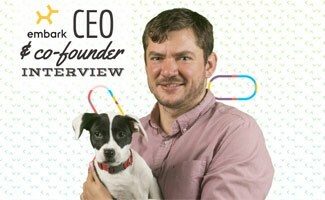 What’s the biggest challenge at Embark? Our biggest challenge has been scaling our operations while retaining the individual care for each and every customer. Through carefully hiring customer-focused dog people, training them well, and giving them the tools to solve customers’ issues, we’ve increased our customer satisfaction even as we grow quickly; this is nearly unheard of and our biggest point of pride. Everyone at the company reads every review, and whenever an issue arises, we solve it for those customers and future customers. Customer focus truly permeates everything we do; team meetings and Board meetings start with our customer satisfaction scores. Starting a company doesn’t afford much free time! When I do have free time, I try to spend it outdoors with my son, wife, and dog. I love to travel and hike, and I try to get those in whenever I can! We’ve actually made our first discovery, so stay tuned for more soon! Thanks for your support! This quick one-minute video shows a quick overview of how Embark works and why you should consider DNA testing for your pup. We are so impressed with Embark DNA and all Ryan and his team have created so far. But we also look forward to all the exciting new developments in the future, including the pending discovery announcement! In the meantime, thanks Ryan for your time and enthusiasm. Learn more about the company in our in-depth Embark Dog DNA Test Review and in our interview with Embark’s veterinary geneticist. Have you tried a dog DNA kit? Why are you considering it? What name does Embark call the copper toxicosis test? I’m sorry, I’m not familiar with that. I suggest contacting Embark directly for an answer. Best of luck! I love Embark, so cool to learn more about their story and how they were founded. Behind every good product is good people! You can find out with an Embark DNA test for your dog!